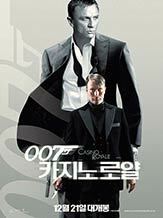 I can't choose between There's Something about Mary and Casino Royale - two different genres. Does not compute. Divide by 0 error.